Thank you for this! I made this for a Halloween Party in 2014 and to this day I'm still asked about it. Ahh. Thanks! This made my day. I'm glad you were able to build your own! I am trying to make this hat for myself but I can't see how the wires are hooked up on the FET or on the pro mini. Would it be possible to snap some clear pictures of all of the wire hookups? Images are hard to get with that many wires. 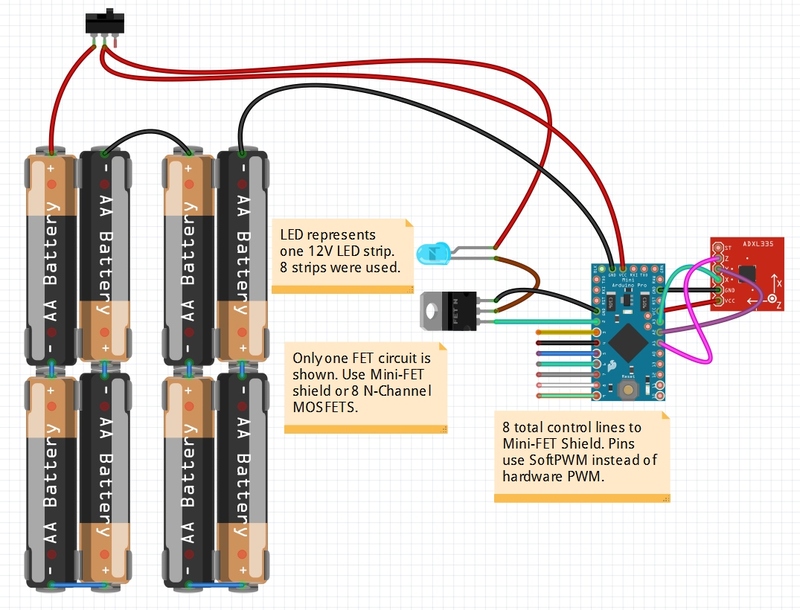 Instead, I drew up and added a fritzing image to the tutorial. You can see the image here. Let us know if anything else needs explaining.